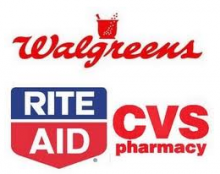 Here are the best Black Friday deals for Rite Aid! Make sure you print out the new official coupon policy before you go. If you are missing any coupons, grab available coupons from our FREE coupon database! This is going to be a very busy day. Help the cashier by having your coupons very organized and know the policies before you go. These deals are valid 11/26-11/26. RiteAid Nov 24, 2011 in BlackFriday, drugstores, free · Expired! 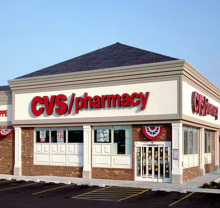 Here are the best Black Friday deals for CVS! Make sure you print out the new official coupon policy before you go. If you are missing any coupons, grab available coupons from our FREE coupon database! 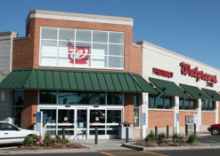 Here are the best Black Friday deals for Walgreens! Make sure you print out the new official coupon policy before you go. If you are missing any coupons, grab available coupons from our FREE coupon database! This is going to be a very busy day. Help the cashier by having your coupons very organized and know the policies before you go. Stores Nov 24, 2011 in BlackFriday, drugstores, free · Expired! Here are the freebies for this coming week. These deals will start on 11/13 and run through 11/19. There will be mid-week â€œBlack Fridayâ€ deals starting this week, I’ll try to get those posted for you as well. If you need coupons, don’t forget to check out the FREE coupon database. You can also print coupons directly from these other coupon resources: Coupons.com, Coupon Network, and Red Plum. CVS Nov 12, 2011 in drugstores, free · Expired! Here are the freebies for this coming week. These deals will start on 10/30 and run through 11/5. If you need coupons, don’t forget to check out the FREE coupon database. You can also print coupons directly for free from these other coupon resources: Coupons.com, Coupon Network, and Red Plum. CVS Oct 29, 2011 in drugstores, free · Expired! FREE Arrid Deodorant at Walgreens! There is a $1/1 Any Arrid Deodorant printable coupon available, combine that with this weeks Walgreens in-ad coupon and you’ll get a FREE deodorant! Walgreens Oct 13, 2011 in drugstores, free · Expired! Here are the freebies for NEXT week. These deals will start on 9/4 and run through 9/10. If you need coupons, don’t forget to check out the FREE coupon database. You can also print coupons for free from these other coupon resources: Coupons.com, Coupon Network, and Red Plum. For a complete list of what’s free and cheap this week, visit My Frugal Adventures for a great list! CVS is offering this great coupon again. Head over to Facebook and “Like” CVS-Minute Clinc to get the coupon for a free full size bottle of CVS brand body wash. There is no purchase necessary either so it’s completely free for you! You’ll need to use a valid email address, this is how you’ll get your coupon! Here are the freebies for NEXT week. These deals will start on 8/14 and run through 8/20. If you need coupons, don’t forget to check out the FREE coupon database. You can also print coupons for free from these other coupon resources: Coupons.com, Coupon Network, and Red Plum. Final price: FREE after ECB! CVS Aug 13, 2011 in drugstores, free · Expired!